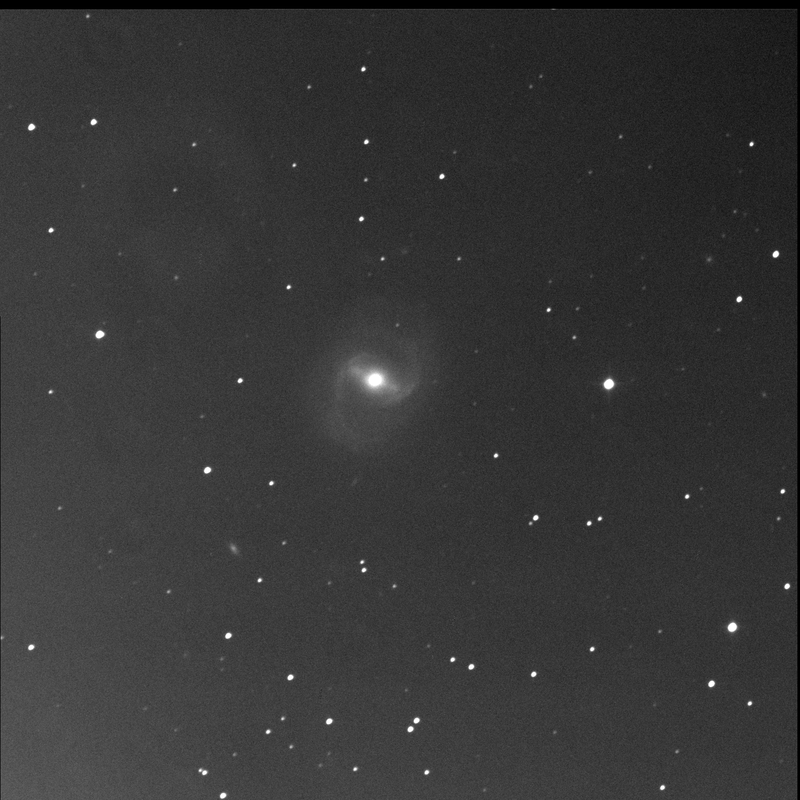 BGO gathered photons from Messier 91. I first viewed the galaxy in the Coma Berenices constellation on 3 May '13. Luminance only, 60 seconds subexposures, 10 stacked shots. FITS Liberator, Paint.NET. North is up; east is left. A big propeller. This is an amazing barred spiral galaxy with a large and incredibly bright hub. 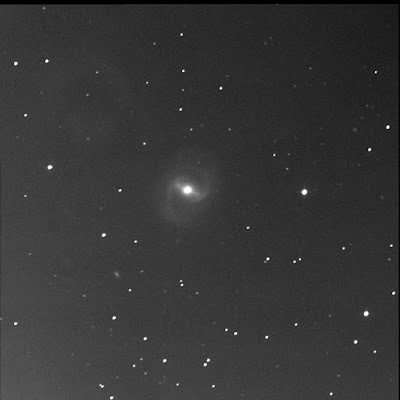 There are two prominent arms in NGC 4548. It's difficult to see and I am having a hard time drawing it out but there's a large halo around the whole galaxy. We're face on. To the north is a tiny fuzz ball: LEDA 169575. PGC 41858 is far away to the west-north-west. Another tiny round fuzzy point. Close to the big island universe, to the south, is LEDA 169578. Almond-shaped PGC 41978 lies to the south-east. The canted galaxy is quite large and bright.